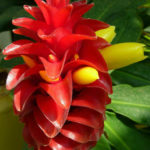 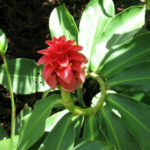 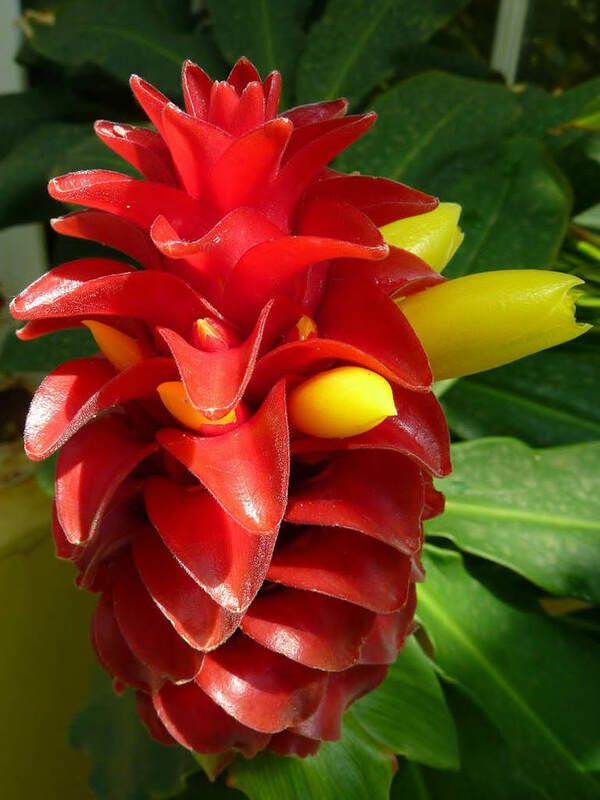 Costus barbatus is a perennial plant with a red inflorescence. 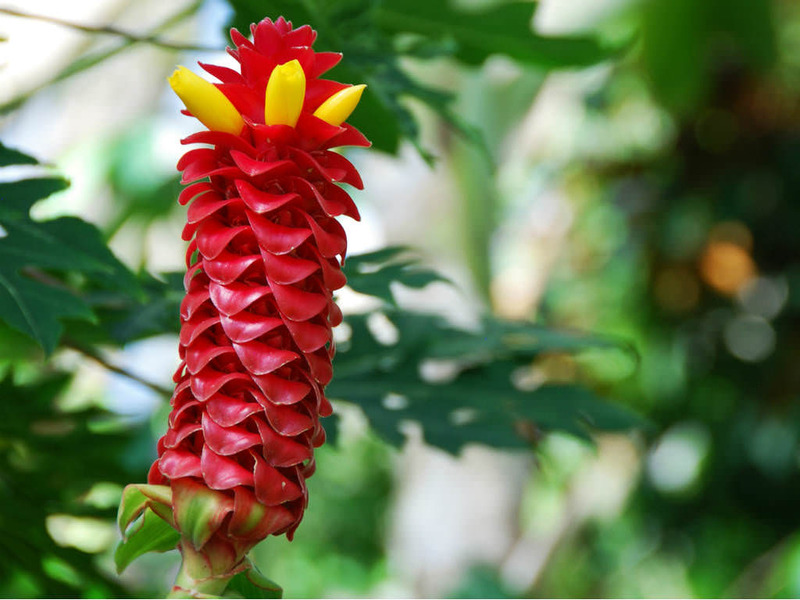 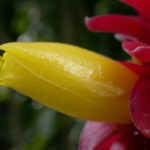 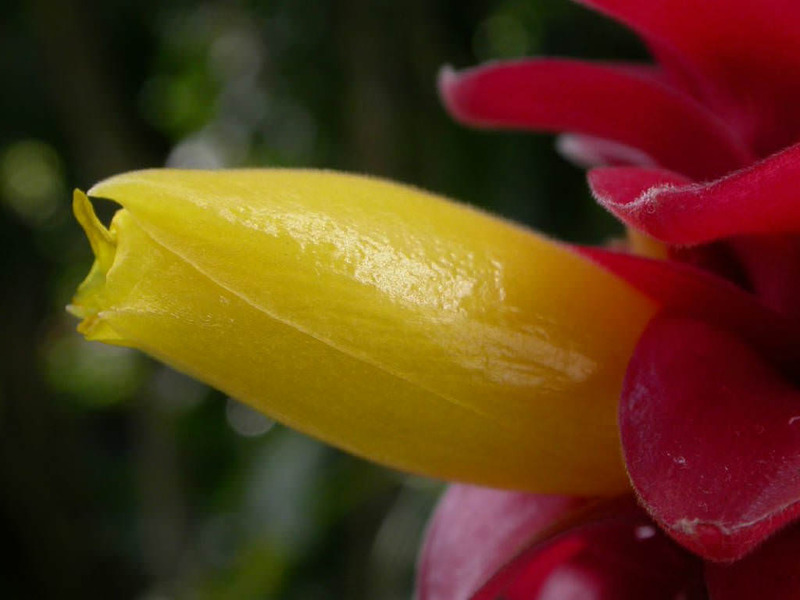 The long, red inflorescences are complimented with edible, bright yellow, tubular flowers. 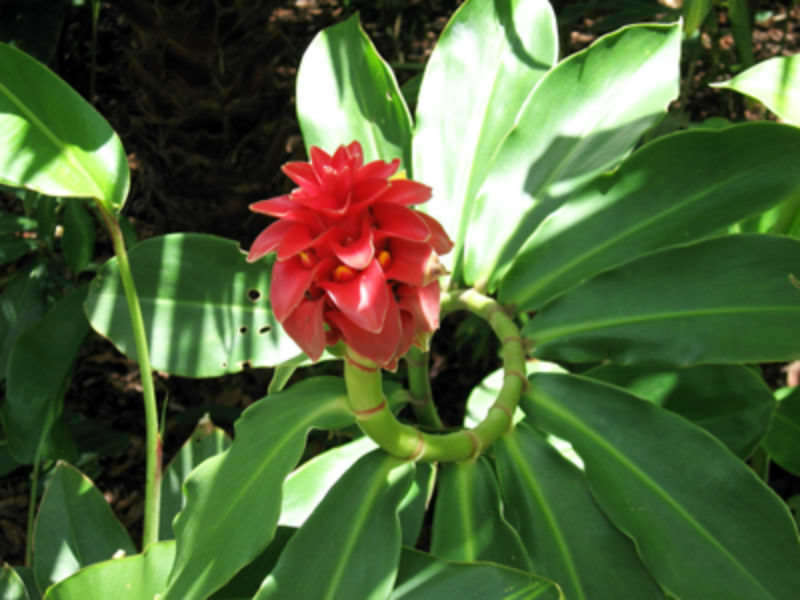 It has dark green and fuzzy underneath, ginger like, elliptic leaves which spiral up the slender cane-like stems to a height of 7.9 feet (2.4 m).